Reel Asian returns to this event again with our booth! Come by, say hi and walk away with some free popcorn. NAAAP presents the 2nd Annual T&T Waterfront Night Market in downtown Toronto. Reel Asian returns to this event again with our booth! Come by, say hi and walk away with some free popcorn. Click here for last year’s photos and videos. This event is a unique lifestyle experience that is set to take place on July 21-24, 2011 exclusively at T&T Supermarket and Polson Pier. The more than 150 exhibitors will be providing an outdoor culinary experience featuring an enticing selection of Asian themed ‘street food’. A number of food booths will also provide samples of different types of delicacies at no charge. 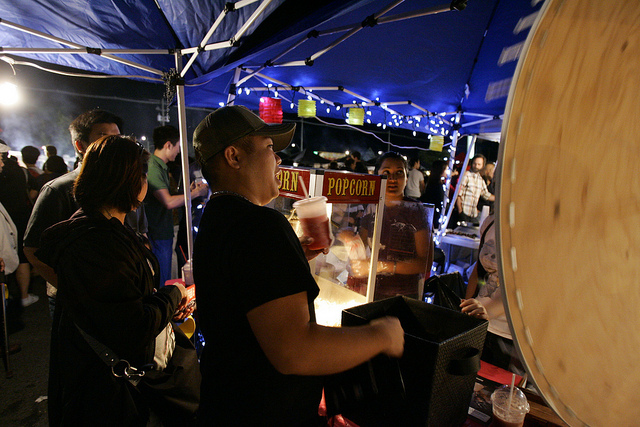 Lifestyle booths include a great variety of retail and services ranging from music, cultural to children’s arts and crafts for an all out night market experience.